If you haven’t figured it out yet, your heart is a big deal – a very big deal, and we’re just talking about the health side of things. So let’s keep figuring out ways to keep it as healthy as possible for as long as possible. Avoiding use of nonsteroidal anti-inflammatory drugs (NSAIDs) for even a few days is one way, suggests research. This finding is big because NSAIDs are so readily available and commonly used for everything from headaches to back pain. Think Advil, Motrin and similar over-the-counter medications. In this large study (nearly 500,000 participants ages 40-79), NSAID use for one to seven days increased the risk of suffering a heart attack by 24-53 percent: 24 percent for celecoxib (Celebrex), 48 percent for ibuprofen (Advil, Motrin), 50 percent for diclofenac (Voltaren) and 53 percent for naproxen (Aleve). 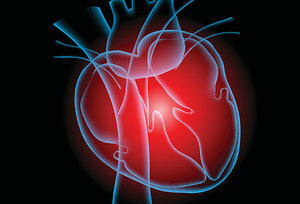 Heart attack risk increased with higher doses and higher duration of use. Does this mean if you take NSAIDs, you’ll suffer a heart attack? It depends on your cardiovascular risk, general health and other factors. But you certainly don’t want to take the chance, particularly if there are safer options available to deal with your pain. That’s where chiropractic and other drug-free therapies can make a big difference. By the way, this isn’t the first time (and won’t be the last) that over-the-counter medications have been linked to dangerous health outcomes. While the pharmaceutical industry, mainstream advertising and even your medical doctor have made NSAIDs seem like the first choice for managing pain, increasing research suggests they should be one of the last. Fortunately, major health organizations are starting to get it. Click here to learn more.